Anything Goes - Handyman in Vancouver - We do Odd Jobs! Anything Goes is a small family-owned business, based out of Surrey, BC, that provides handyman and general repair services. We have several years of experience performing odd jobs and maintenance around homes and businesses throughout Vancouver and the Lower Mainland. If you have repairs or odd jobs that need to be done around your home or business, a handyman can be a cost-effective solution. Many home repairs can be done by a local handyman for less than the price of an industry contractor or repair technician. Just look at our Handyman Service Rates and compare to other quotes. We have flexible hours and availability. For general inquiries or to book an appointment with a handyman in Vancouver you can call 7 days a week. You can also contact Anything Goes – Handyman Services through our online contact form. At Anything Goes we are looking forward to providing you with a friendly and effective handyman experience. Don’t let those random repairs be a burden any longer. We provide handyman services to most areas of Vancouver and the Lower Mainland. We are your “Jack-of-All-Trades” solution to getting it done right! If you need a handyman in Vancouver or even just a man with a truck contact us... ANYTHING GOES! 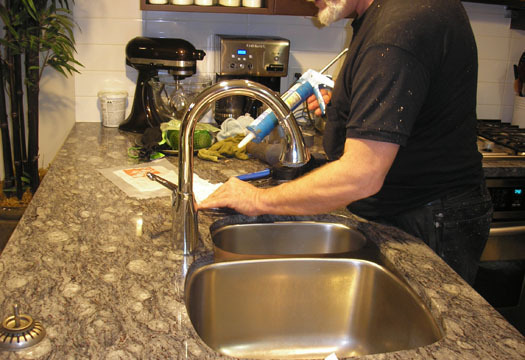 "Handyman in Vancouver performing sink repairs." 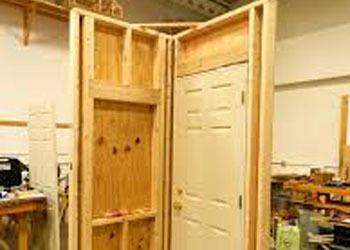 "Handyman in Vancouver providing door repair services." 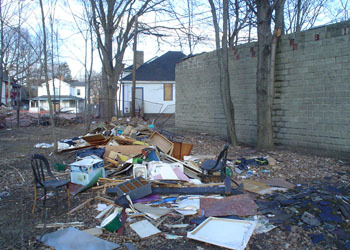 "Handyman in Vancouver providing junk removal services." Years of experience, doing many types of work, in many different trades is what makes a good handyman. Handyman services covers a lot of things from hard, physical labour like junk removal, fixing engines, and fixing fences to light, more technical jobs like repairing computers and installing light fixtures. Fix a toilet… change a ceiling fan… fix a tap… Anything Goes! Just give me a call at (778) 241-1178 or contact via. Email and tell me about your repair, reno, or other handyman project. Besides, if I could do all the things that you need done wouldn’t that be handy? Just phone and ask Anything Goes – Handyman Services. One call does it all!